Have you all tried kale chips before? 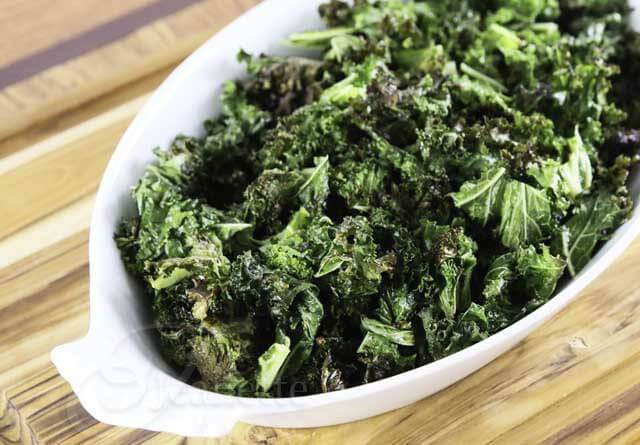 Well, today’s Garlic Roasted Kale is a side dish variety of this popular snack. Over the holidays, my brother-in-law introduced our family to this easy, kid-friendly preparation for kale. For as long as I can remember, my husband’s sister, and her family have spent Christmas with our family. Over the years, my four boys and their two girls have grown up together, and spent a lot of time together, especially when my in-laws were alive and living with our family. My brother-in-law is a fabulous cook, and it has become a tradition that I prepare Christmas Eve’s dinner, and he takes over the kitchen for Christmas Day dinner. It’s always fun having him prepare a meal for our families. I usually do most of the cooking whenever he and his family visit, so I look forward to getting a break one of the evenings. 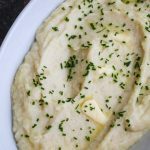 Over the years, my brother-in-law has introduced my kids to three dishes that they really enjoy – Roasted Cauliflower and Potatoes, Marinated Portobello Mushrooms, and this year’s new addition – Garlic Roasted Kale. 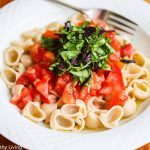 The funny thing is that if I had ever tried serving any of these dishes to my brood, they would probably have scoffed at me, but since they know my brother-in-law is a great cook, they are all open minded to tasting everything he prepares. Just goes to prove, exposing your kids to new foods is sometimes easier when someone else makes it. I roast lots of vegetables, so I can’t believe that I never thought to roast kale. Kale shrinks a lot when roasted, so don’t worry if it looks like a lot before you put it in the oven. Besides, if there are any leftovers, you can simply continue to roast the kale leaves until they are completely crisp and make kale chips. 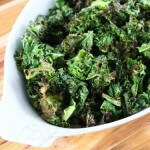 A Few Tips: This is a very easy recipe to make once all the kale leaves are prepped. The important thing is to remove the hard stems and use just the tender leaves. Also, make sure the leaves are torn into small pieces so they have a chance to crisp up nicely, and spread them in a single layer on the baking sheet. If the leaves overlap, you’ll end up with softer leaves, not crispy ones. It takes a bit of patience if you want all crispy kale leaves. My kids wanted all the pieces to be crispy, so I removed the kale leaves as they crisped up and kept baking the rest until all the pieces got nice and crispy. They opted not have any sherry vinegar drizzled on top for fear that their crispy kale would turn soggy. As for me, I like a little tang, so I sprinkled a little vinegar on top of my serving. 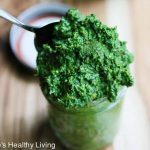 So, if your kids refuse to eat kale, try this recipe…better yet, get someone to make this for your kids first – they’ll be less suspicious ;). Preheat oven to 425 degrees. 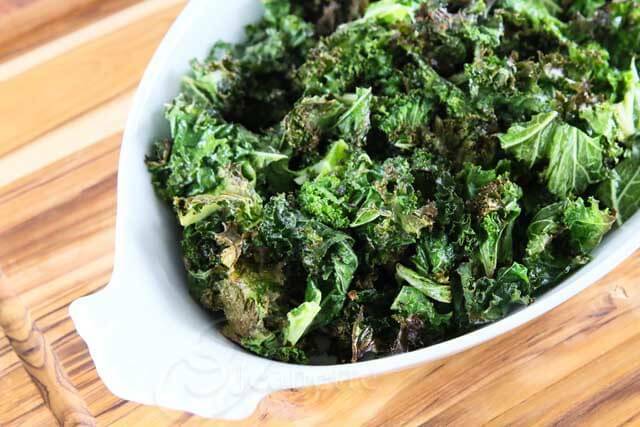 Combine kale leaves, olive oil, salt, and garlic powder in a large bowl and toss well to coat all the leaves. Spread in a single layer on baking sheets lined with Silpat, foil or parchment paper. You will probably need two large baking sheets. Bake for 7 minutes. Remove from oven and remove any crispy pieces. 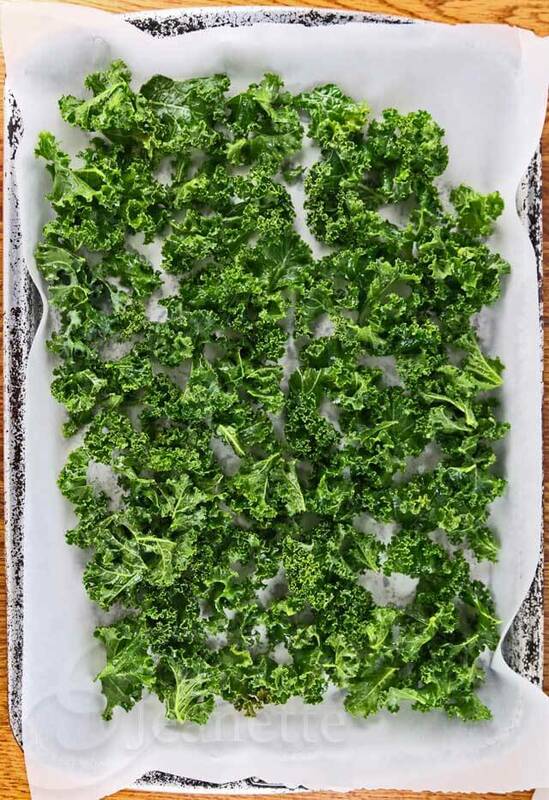 Toss the remaining kale leaves on the baking sheet and spread in single layer. Continue baking another 5 minutes. Once again, remove from oven and remove crispy pieces. If any pieces need to be crisped up more, return them to the oven for another few minutes. Sprinkle with sherry vinegar just before serving, if desired (kale will not be ask crisp if you do this). 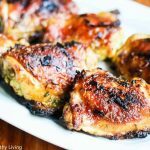 That’s awesome that your brother-in-law is such a wonderful cook and he can get your kids to eat so many greens and veggies 🙂 I love kale and this garlic roasted version sounds fantastic Jeanette! I would keep the sherry vinegar too since I like a little tang as well 🙂 Pinning and can’t wait to give this dish a try, it looks wonderful! 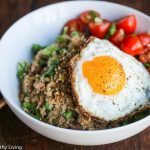 Kelly – it’s always fun having my brother-in-law make a meal for our family. This year, it was a team effort – his daughter actually prepped all the kale. Ok this is brilliant. I’ve never roasted kale!! I usually make chips or add it to other dishes like soups and pastas. Love this idea! Liz – so funny, I never thought to do this either. 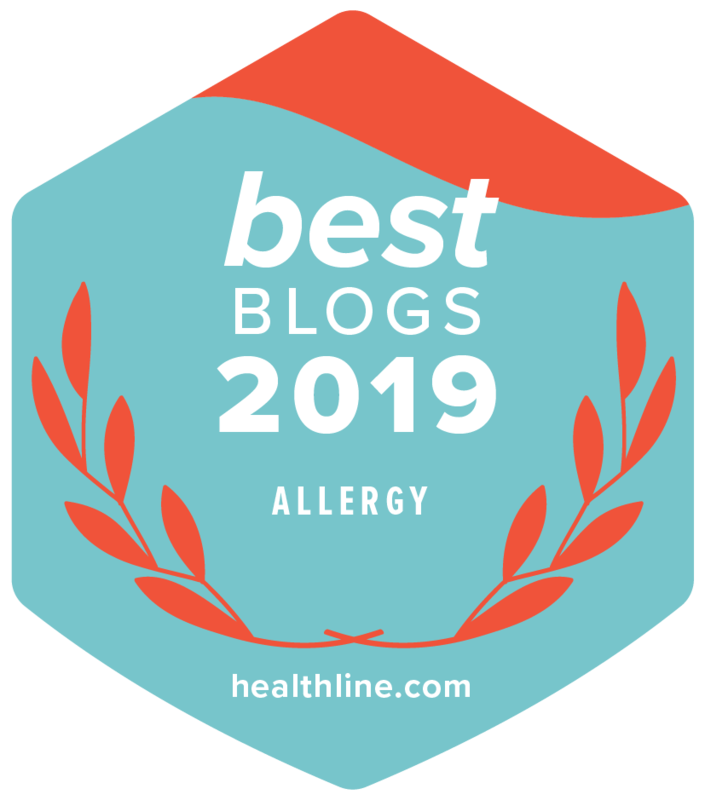 I’m the same as you – kale chips, soups and kale pesto. Making this again tonight for the kiddos. Fantastic recipe Jeanette – we love kale and grow it in abundance in winter. It’s summer here in Melbourne now, but I still pick up the occasional bunch from the market and will try it your way next time! Thanks Yasmeen, hope you enjoy this! I echo Liz- roasted kale is BRILLIANT! What an awesome idea! Thanks so much for sharing! 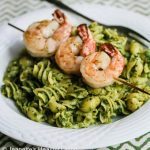 I can never get enough kale and this sounds like a delicious way to make it! I love that your brother-in-law has helped to expand your kids’ veggie repertoire! This looks delicious, and I will be trying it with the next bunch of kale I pick up! Yes, we all love it very much! I feel so much better to feed kids this than random junk food and they love it. I can’t ask for more. 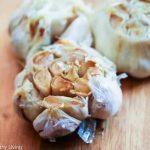 🙂 Love the garlicky flavor! Nami, you’re so lucky your kids enjoy healthy food – I’m sure it’s because you’re a fabulous cook! 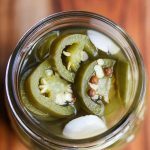 Thanks Kalyn – even my picky vegetable eater son loves this! 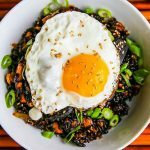 I am trying to figure out what the difference of this recipe and Kale Chips, especially if you cook the Kale long enough to crisp them? Would love to understand so I can serve this as a side and not just a chip. Is it the seasoning? I add seasoning to my chips often. Great site! Thanks for your insight. Hi Brenda, the difference between this recipe and kale chips is that not all the leaves are crisp like chips. If you bake these long enough and take the time to remove the pieces as they crisp up, you will end up with kale chips. When my brother-in-law made this over the holidays, there were pieces that were crisp and pieces that were partially crisp and partially soft. 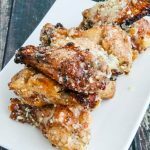 My kids prefer them crispy so I give them the crispy pieces and I eat the ones that are have both crisp edges and softer parts. If you have any leftovers, you can bake them some more to make kale chips. 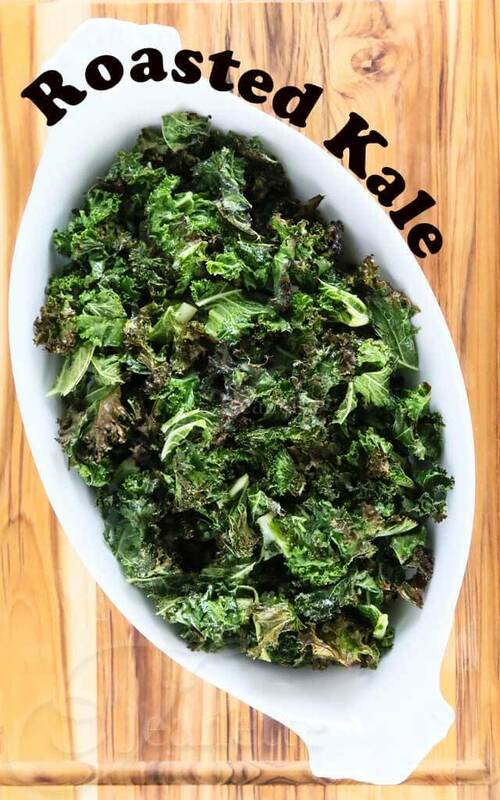 I discovered roasted kale by accident a few weeks ago and now I can’t get enough–I love it in salads! I’m definitely going to try your version soon! 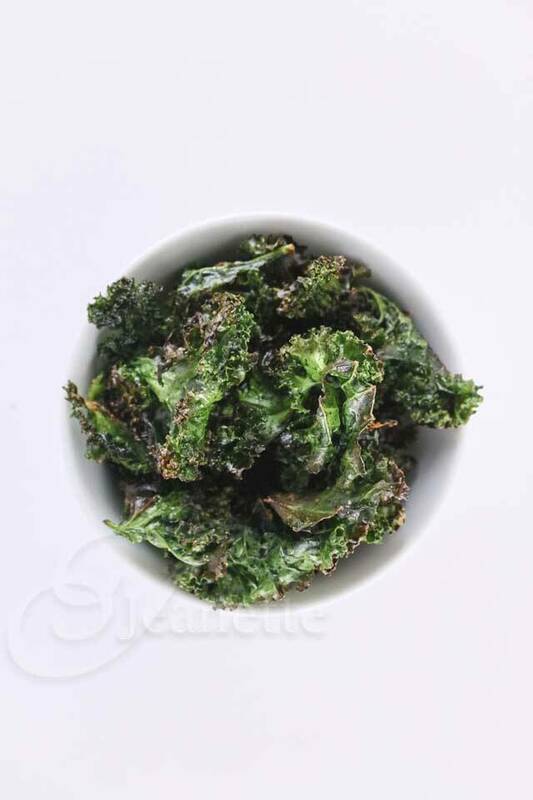 Kale chips are my favourite snack – never thought to season them – always just have them with a little salt. I’ll be trying this very soon!